What happens when you remove all obstacles to a child’s imagination? Anything is possible. Unless of course, you let The Possible Police stop you. They will do whatever it takes to stop children from believing. Wylde Scott believes that all children should live in a world of endless possibilities. 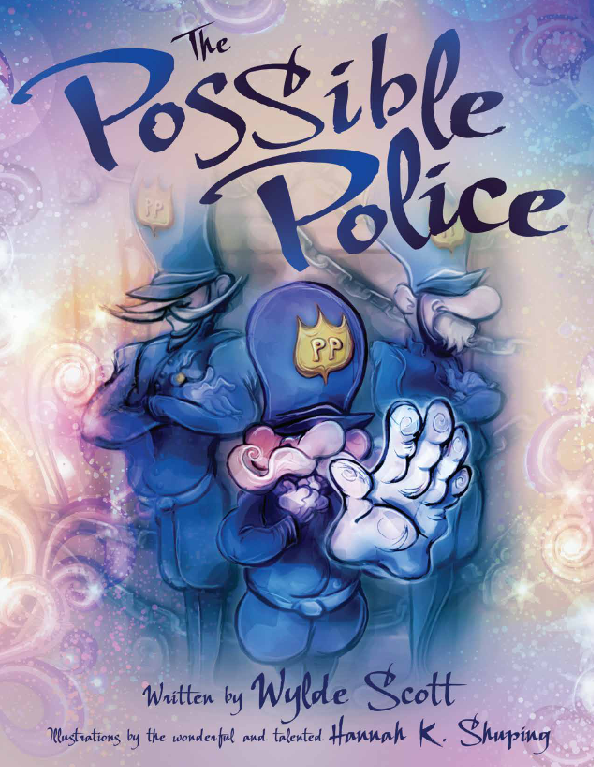 In this beautifully illustrated picture book, Wylde takes your child into his boundless imagination as he fights off the possible police. Join him as he inspires children to truly believe, and teaches them that no one can stop them from doing what they dream. Just so you know, I love children's books, I am still purchasing them and my children are in their 20's. That being said, I really wanted to love this one but it was just okay for me. The illustrations are great, watercolor-like with a distinction between the police page and the dreamer page. Even when it is night where the dreamer is. I was confused about the character wearing a nightgown at the beginning and being a grown man at the end. And the author's name is used as the character's name. I'm glad I read it but do not believe I will be purchasing it for any of my friend's children. Disclaimer: I received a complimentary electronic file of this book without any obligation to write a positive review. The opinions expressed in this post are mine and may differ from yours. Book information courtesy of NetGalley and amazon. Spotlight on: The Sixteen by Ali B. This is Sneakers . . .